A good wedding DJ will keep your big day flowing and your dance floor moving. But hiring one could also set you back $1,000 or more. You can DJ your own wedding for a fraction of the cost, without sacrificing the flow or the dance party. You just need a playlist, a sound system and some planning. 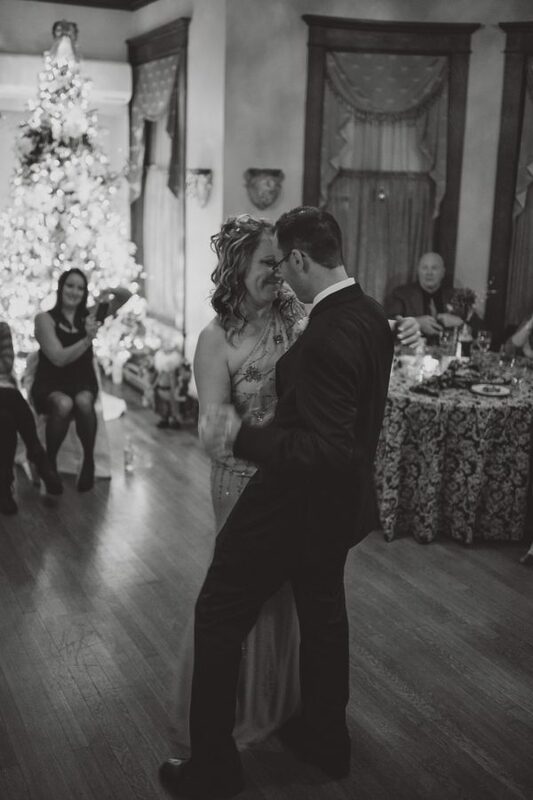 Brian Zimmerman and his wife, Amy, pulled together the music for their December 2013 wedding in just a few days. “Music is such a big part of our everyday lives, so it was easy to do a lot of that curating. It’s something that we already spend so much time doing,” Brian Zimmerman says. Not a music aficionado? Give yourself a few weeks to research and curate a playlist — because no one wants to download and organize songs the night before their wedding. Use these tips to be your own wedding DJ. Your Bluetooth speaker might work great at home, but it won’t pump out sufficient sound for a wedding — especially if your event is outdoors. If your venue doesn’t have a sound system, rent one. Renting equipment from a music store like Guitar Center or Sam Ash will set you back $75-$150 a day, plus a refundable deposit. Enlist a friend or family member to help cue the music and make key announcements — like when dinner is served or it’s time for the first dance. Set your MC up for success. Make sure they know the day’s timeline and can familiarize themselves with your playlists and sound system before the wedding day. A missing cable. A bad mic. Audio feedback. Any one of these issues can throw a wrench into your music plans. Better to encounter them a day or two before the wedding, rather than an hour or two before. That’s where a dry run comes in. Set up everything like it’s the main event and run through the various parts of your day — pre-ceremony music, ceremony readings, etc. Your officiant and MC will have a chance to practice, and you’ll have time to address problems that arise. Your wedding day is made up of lots of moments — some big, some small — that you’ll want set to music. Make separate playlists for each of these moments, label them clearly and arrange them in chronological order to ensure your MC cues up the right tunes at the right time. You and your partner may love thrash metal, but Slayer isn’t everyone’s cup of tea. So save “Raining Blood” for the after-party and stick to crowd pleasers during the reception. Not sure where to start? Stiles recommends searching for the top 100 dance songs, and selecting popular tunes from various decades to engage guests both young and old. That doesn’t mean you can’t slip in a few lesser-known favorites. The Zimmermans included tunes from indie and folk artists like Spoon, Cloud Cult and David Gray on their reception playlist. You don’t want your first dance interrupted by a Target commercial or a spotty internet connection. Opt for a premium music service that offers ad-free offline listening. Then, download everything and store it on your music player. Spotify Premium and Apple Music are both $9.99 a month, with generous promotions for new subscribers. Both services let you crossfade tracks — a handy DJ trick to avoid dead air between songs. Apple Music also lets you trim songs (via iTunes), so your guests can groove to Prince’s “Let’s Go Crazy,” minus the nearly minute-long guitar solo at the end.